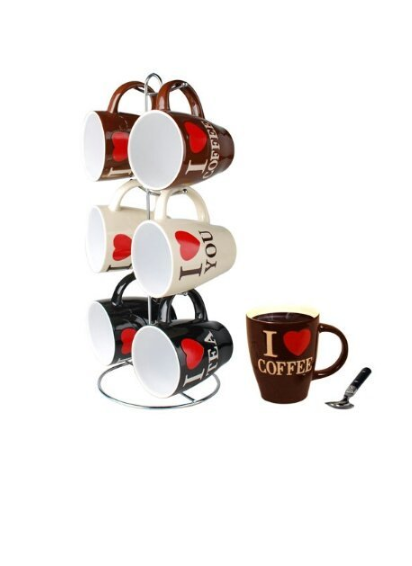 6-Piece I Love Coffee Mugs + Tree Stand ONLY $9.99 + FREE Prime Shipping! You are here: Home / Great Deals / Amazon Deals / 6-Piece I Love Coffee Mugs + Tree Stand ONLY $9.99 + FREE Prime Shipping! These super cute 6-Piece I Love Coffee Mugs + Tree Stand is ONLY $9.99 + FREE Prime Shipping! Sign up for a FREE 1 month trial of Prime here! Perfect for coffee lovers like myself!